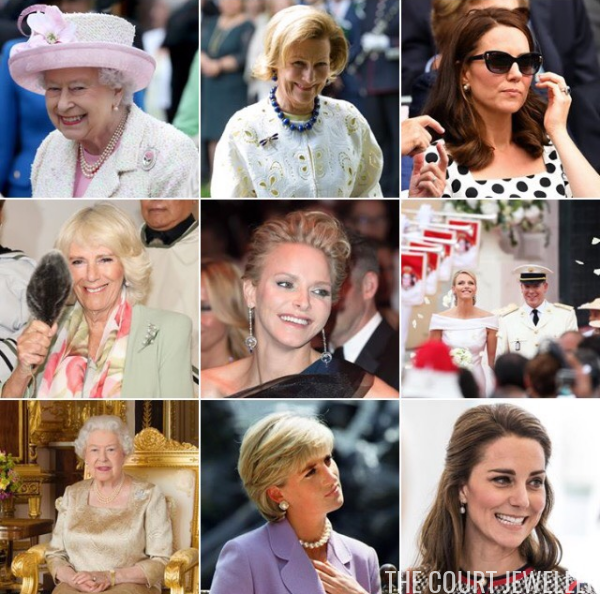 Along with the posts published each day here on The Court Jeweller, did you know that Ella posts even more royal jewel content daily online? Here's a quick rundown of our social media accounts, so that you can easily follow the latest in royal jewel news both at home and on the go! Instagram: Follow us at @courtjeweller on Instagram for daily posts featuring current royal jewel news, gorgeous historical images, and throwback milestone pictures. Twitter: I'm always tweeting and retweeting the latest in royal news on Twitter; follow us at @courtjeweller for up-to-the-minute royal jewel updates. Facebook: Get all of the latest posts, news, and pictures from The Court Jeweller right on your news feed by liking and following @thecourtjeweller on Facebook. Links to our social media accounts are always available in the sidebar of the blog for easy access. Can't wait for you to enjoy even more daily sparkle!